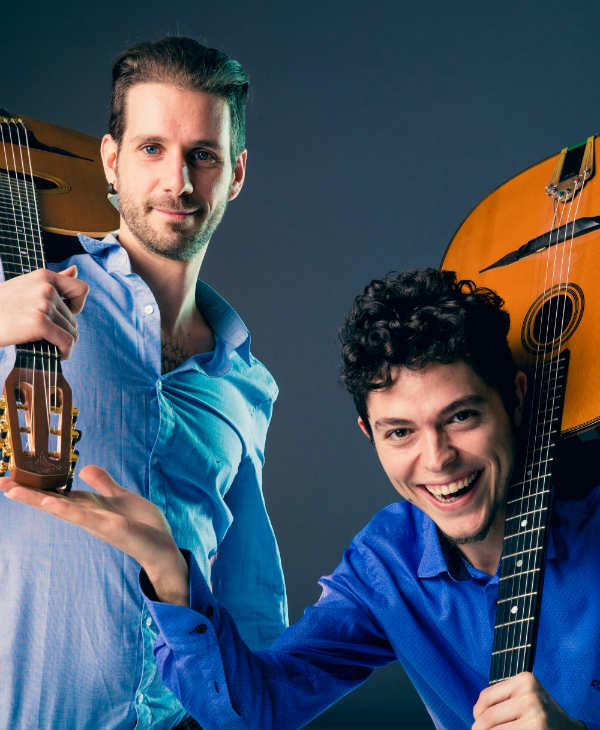 Gypsy Swing Ensemble is a swing band who have performed unique and fresh arrangements of traditional Gypsy swing, Italian and Spanish music on two guitars, since 2001. 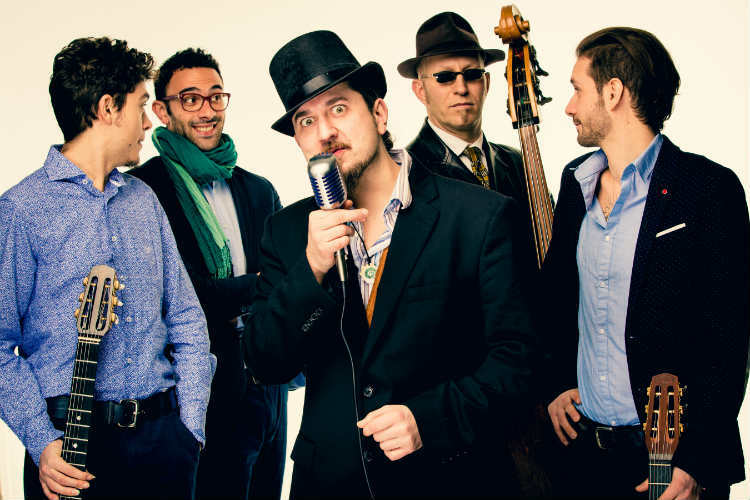 They are a highly sought-after Gypsy Swing / Jazz band for wedding gigs, corporate and private events. 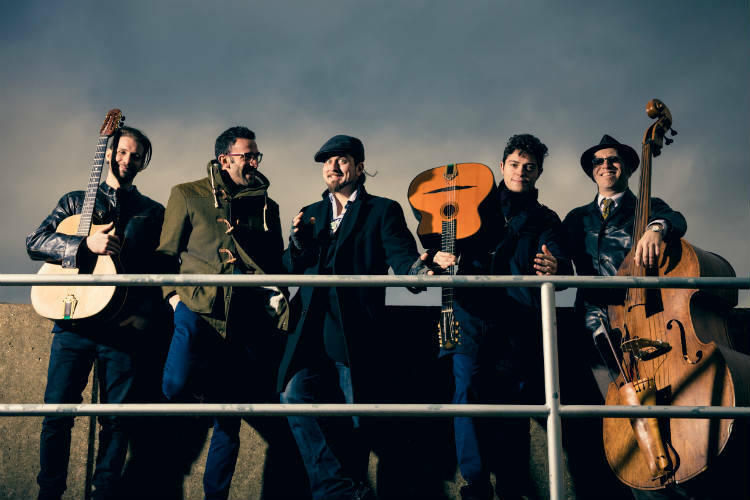 Gypsy Swing Ensemble have recorded their own album at “Le QuecumBar”, the most prestigious Gypsy jazz venue in Europe, and were featured in Portobello Radio and London One Radio. 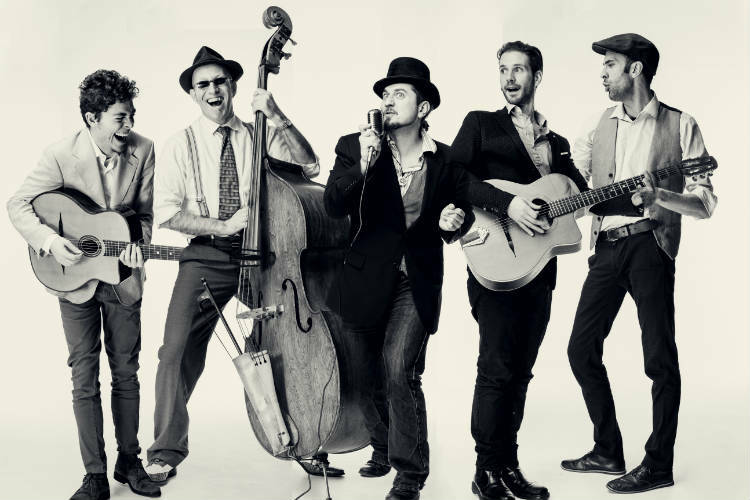 As well as performing regularly in the UK, The Gypsy Swing Ensemble have toured in France, Italy, Malta and Russia, and played at many illustrious venues including the Houses of Parliament, Brasserie Zedel, Tower of London, Union Chapel, Novikov, the Century Club, Brasserie Toulouse Lautrec, Le QuecumBar, The Forge, Gaucho, Cahoots, The Hideaway and the Green Note. 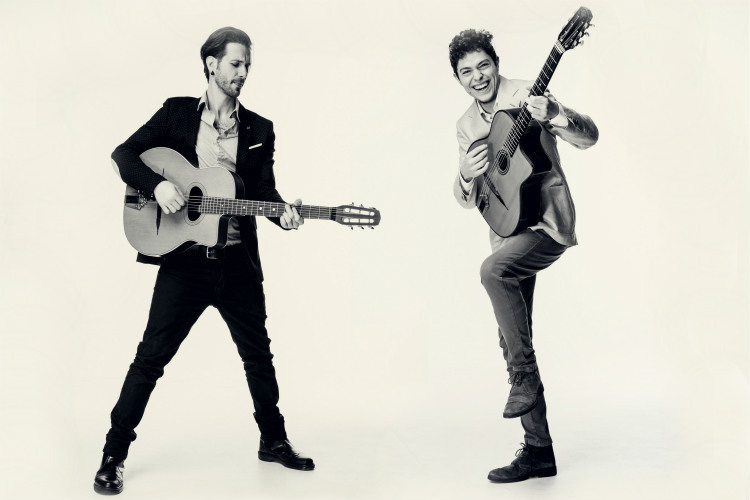 Gypsy Swing Ensemble are also able to add two incredible singers who can perform alongside the gypsy swing band. Dom Durner as their male singer and Francesca Confortini as the bands female singer. 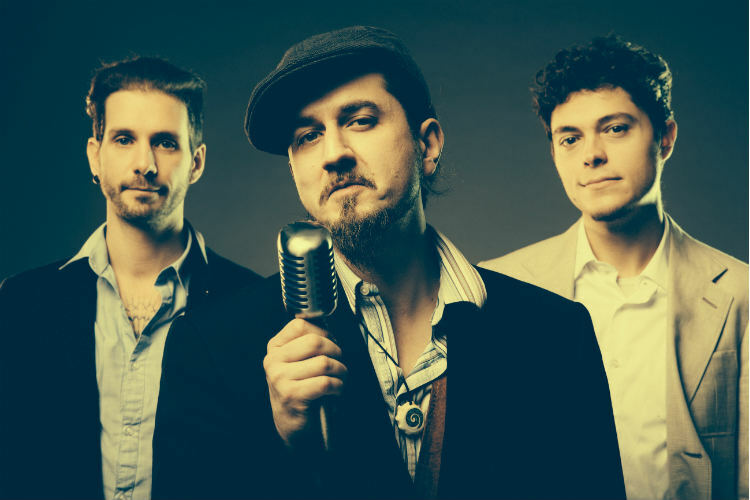 The Gypsy Swing Ensumble work with male singer Dom Durner has traveled all over the world Having settled in London since a few years, he has worked with some amazing artists and has founded a few incredible bands. 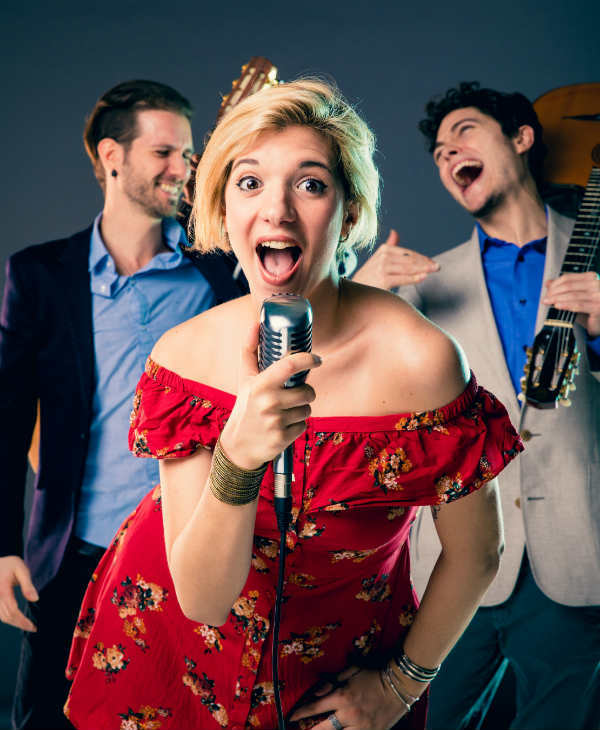 The Gypsy Swing Band’s second singer Francesca Confortini has been a professional singer for over ten years around Europe with a background in band fronting, backing vocals, session singing and musical theatre. 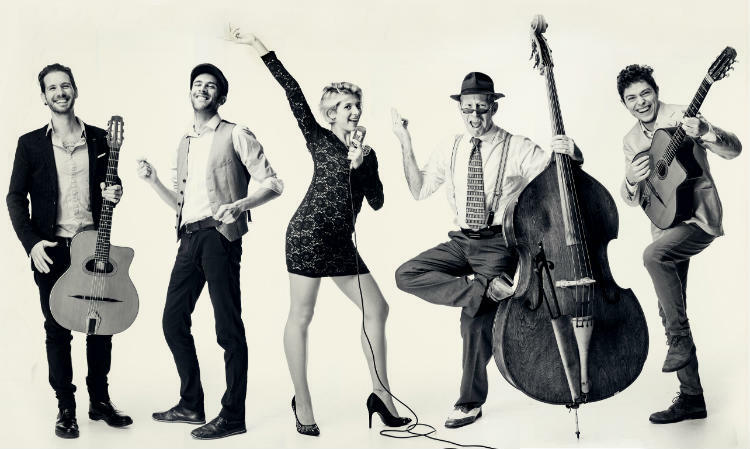 Gypsy Swing Ensemble can expand up to a 6-piece band featuring two vocalists, two guitars, clarinet, double bass and drums.